I was updating my revenue calendar and received a publishing error, why? 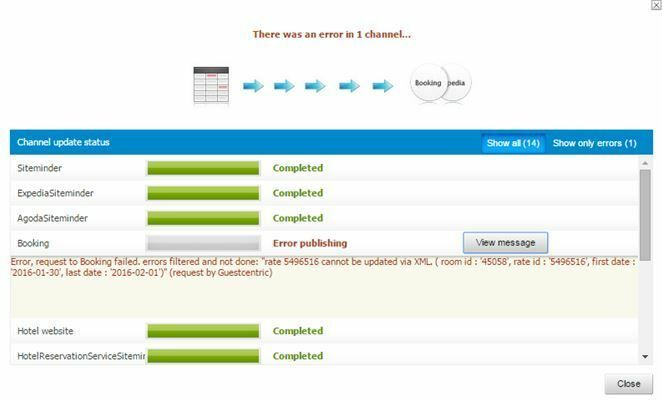 HOME > CHANNEL MANAGER > I was updating my revenue calendar and received a publishing error, why? You have "XML RES rates" active on the channel side. This means you will not be able to manage rates/availabilities for these channel offers, as these rates are set as read-only on the channel side.